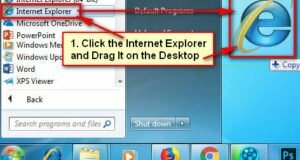 Deleting temp files in windows 7. Sometimes you need to delete temporary files in windows 7. There are many way to clear temp files windows 7. 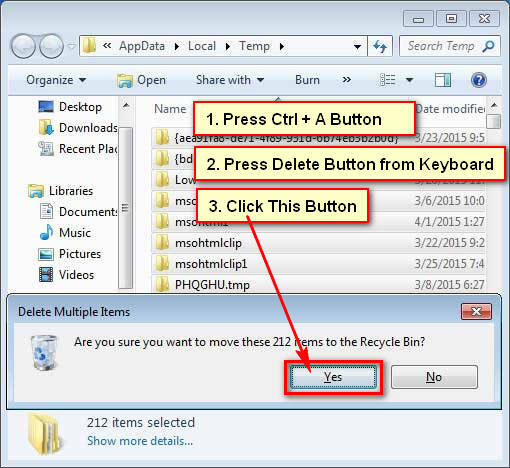 Learn how to delete temp files in windows 7. Click start button then you will see search box. 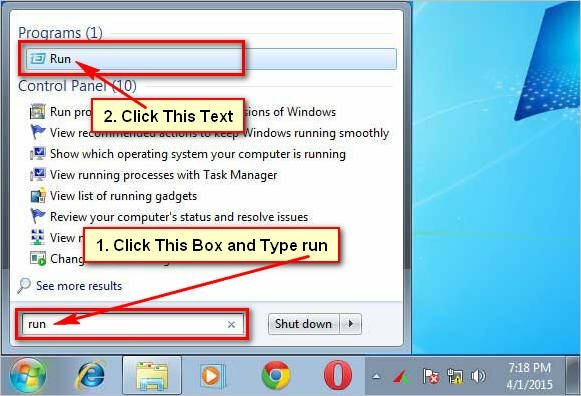 Click search box, type run into the search box and press Enter button from keyboard or click Run text. Run dialog box will open. 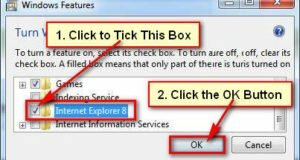 Click and type %temp% in front of Open blank box. 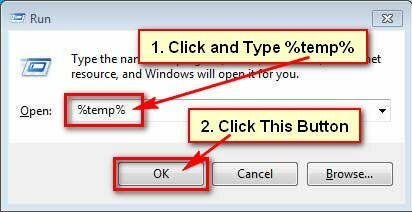 Click OK button to open temp folder. Temp folder dialog box will open with temp file. Press and hold down Ctrl button and press A button from your keyboard to select all temp files and folders. 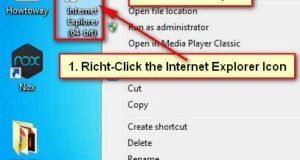 Press Delete button from keyboard to delete all temp files. A new dialog box will open. Press Yes button from this dialog box to delete all temp files and folders from temp dialog box. After that you will not see any files and folders into temp folder.